Sound Transit Bus Accident Attorney | Davis Law Group, P.S. 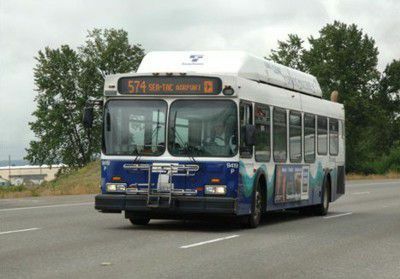 Sound Transit buses provide transportation for thousands of commuters and travelers every day in the Puget Sound area. Hundreds of Sound Transit buses may be on the road at any given time. Sound Transit buses are involved in dozens of collisions with motor vehicles every year. These crashes can cause major injuries and/or death of the accident victims. If you or a family member has been injured or killed in an accident involving a Sound Transit Bus, contact attorney Chris Davis and the team at Davis Law Group. It is important for the survivors and families of a bus accident to work with an attorney that has experience with bus accident lawsuits and settlements. Call (206) 727-4000. Although Sound Transit has an extensive training and safety program for its drivers, operator error and improper vehicle maintenance is the cause of many accidents. After a serious accident involving a Sound Transit bus, the insurance company for the county will likely want to settle your case as soon as possible, and for as little money as possible. The less money the insurance company pays out, the more money stays in their pockets. If you or a loved one has suffered an injury in Washington State, contact attorney Chris Davis and the team at Davis Law Group at (206) 727-4000 to schedule your free legal consultation.